If you are in the market for a mortgage, you are undoubtedly looking to acquire the best deal possible. Why wouldn’t you? Many investors, and home buyers in general, are more interested in what interest rate they end up getting than what they are paying for closing costs or how long the underwriting takes. 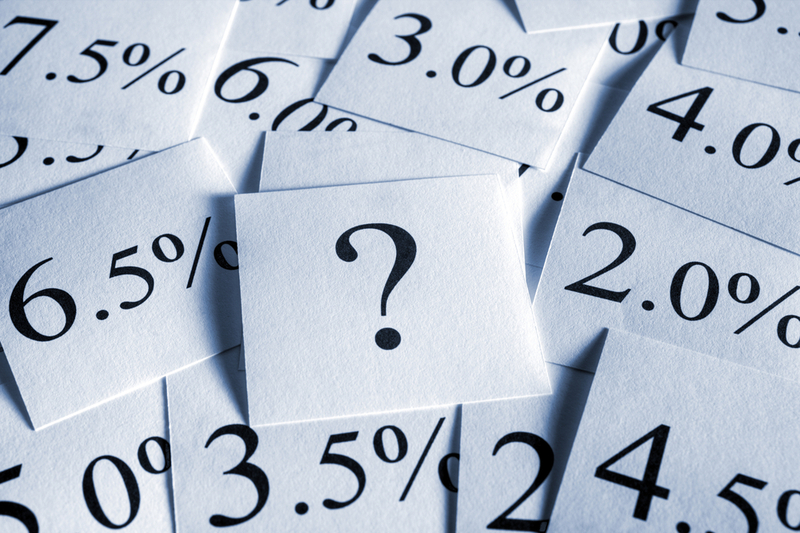 While interest rate is certainly important, there is a fine line between taking a rate you are comfortable with and waiting for rates to go even lower. If you wait too long you may not always get the lowest rate. The size of the loan is the most determining factor when settling on an interest rate. The larger the loan size, the more every point matters. Conversely, if you are looking at a loan under $100,000, changes in rate will only have a marginal impact. It certainly is worth monitoring rates every day, even multiple times a day, on a $300,000 loan, but for a loan a fraction of that size it is not as important. Money is money and every dollar adds up, but if you look at the big picture the interest rate is not the most important thing on a smaller loan. Typically, rates will always go up much quicker than they will go down. We can see this on days where employment data or new housing starts are announced. If the data is favorable to the market, they will immediately increase interest rates. If this data has greatly exceeded interest rates, it is not uncommon to see rates move .25 points or more in the same day. If that news gains momentum over the course of a week, you can see a swing as much as a half of a point. The difference in payment on your $300,000 loan could equal a few hundred dollars if you did not lock your rate in. Therefore, it may not be beneficial to wait for rates to go down. Of course you want to get the lowest interest rate, but you should know that rates are a moving target. For as much as there are indicators as to what way rates are headed, things can change on a dime. Before you get started with your mortgage application you should do your homework and see where the rates are based on your credit score and down payment amount. From there, you should determine a number that you would be comfortable paying on just the mortgage alone. It sounds simple enough, but if you hit that number with the rate you are quoted in the time frame (30-45 days) you can close than you should go ahead and lock. You may lose an eighth or a quarter of a point if rates go down, but you are protected if they go up. If they don’t come back down, you are chasing the market and could see rates increase by a half point or more. Essentially, if you are comfortable with your rate, you should lock it in. Playing the interest rate game can end up costing you thousands of dollars over the course of the year and the life of the loan. Instead of trying to look at a crystal ball, lock in the rate you are comfortable with. You will be glad you did.